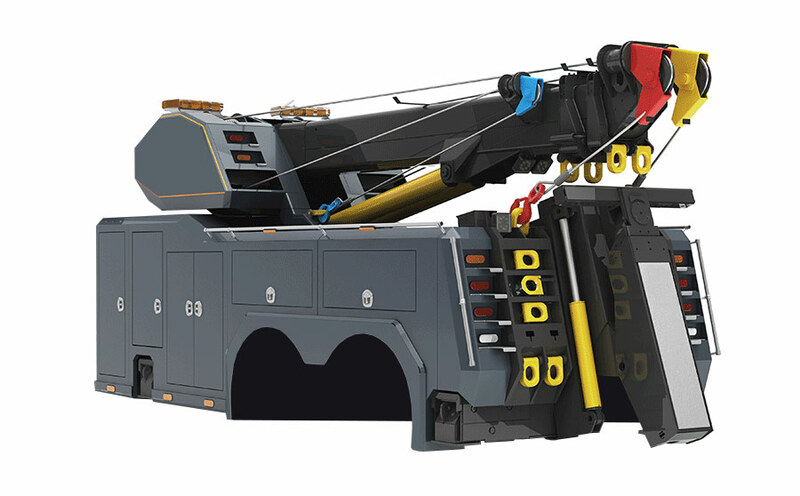 Thirty five ton entry level rotator is designed to be lightweight and scalable on a tandem or tri-axel. Optional LED lighting available on all tow trucks. Additional frame forks available. Custom paint schemes upon request. Stainless steel or mechanics tool box(es).